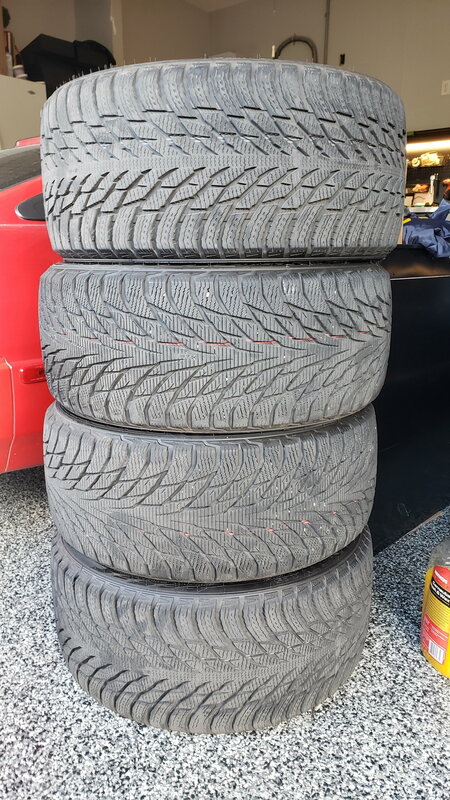 I just purchased an E55 AMG from a seller in Colorado who had literally just put these tires on the car. They probably have less than 200 miles on them. 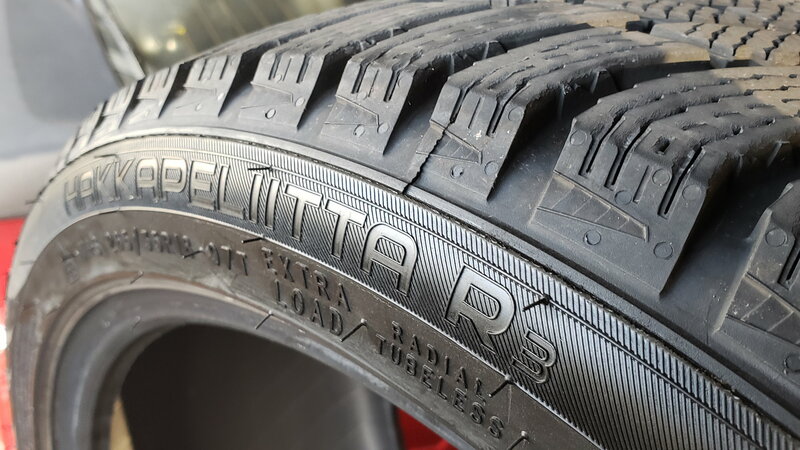 They are essentially brand new. 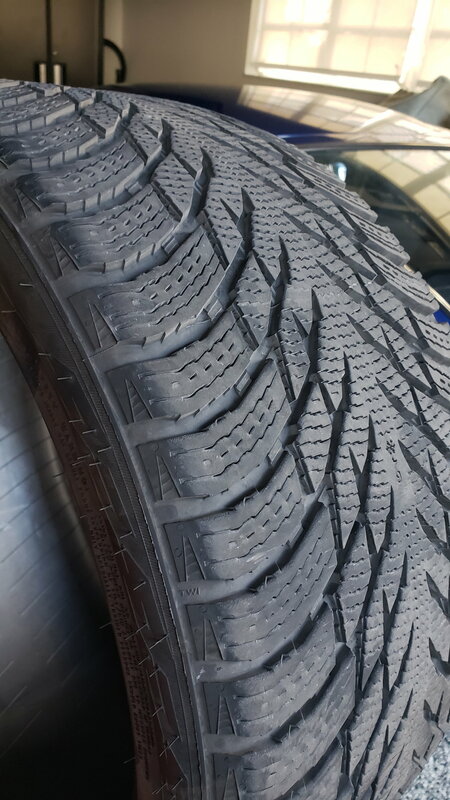 But as I live in Florida, I have no use for them...the first thing I did when I received the car was get a set of high performance summer tires. 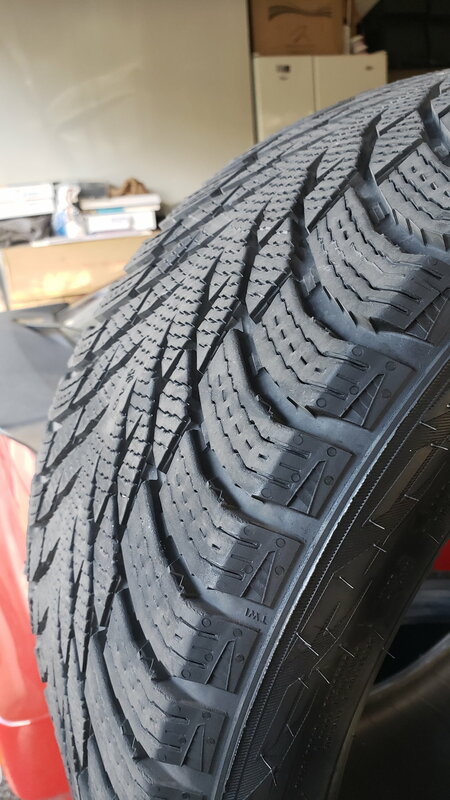 I drove them exactly 13 miles before changing to the summer tires. 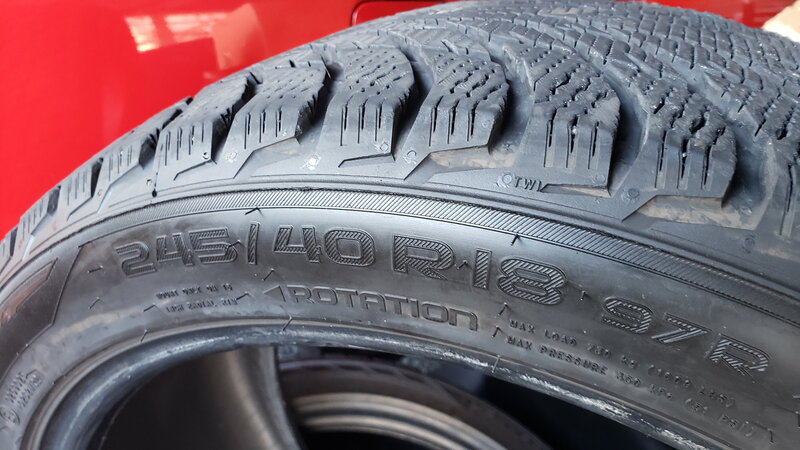 You can still see the molding point tails still intact (the little rubbery hairs on the side of the tires for lack of a more specific term). 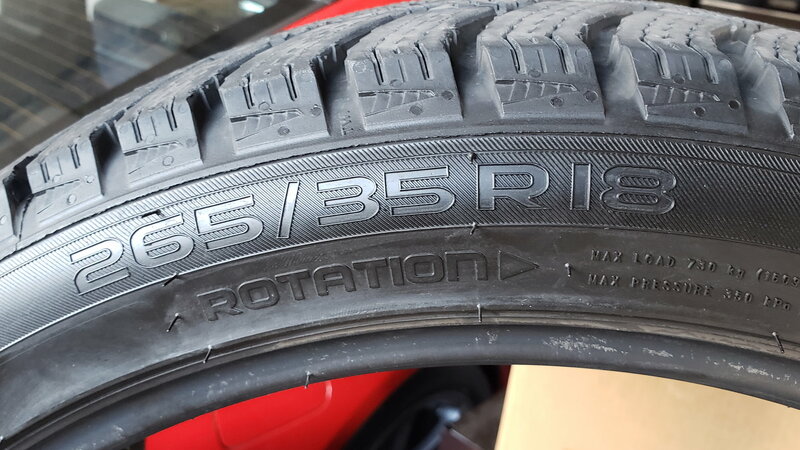 This set is sized specifically for, and came off of, E55 factory wheels: 18 x 8 (Front) and 18 x 9 (Rear). This set goes for $1k on DTD, and they are out of stock.